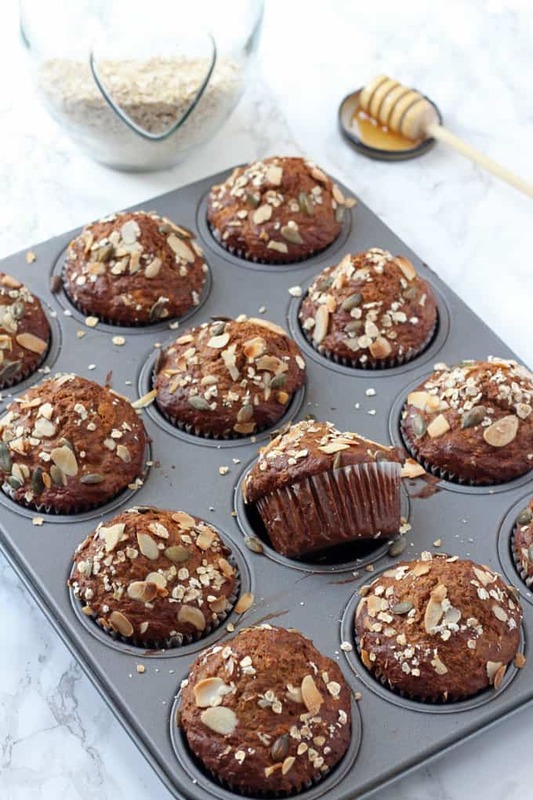 Healthy breakfast muffins packed with superfood ingredients such as manuka honey, chia seeds and flaxseed. We often talk about breakfast being one of the most important meals of the day but this is one statement that I really do stand by, especially when it comes to my family. After approximately 12 hours of no food its vital that children feed their bodies and brains with the right kind of food to set them up for a morning at school or nursery. 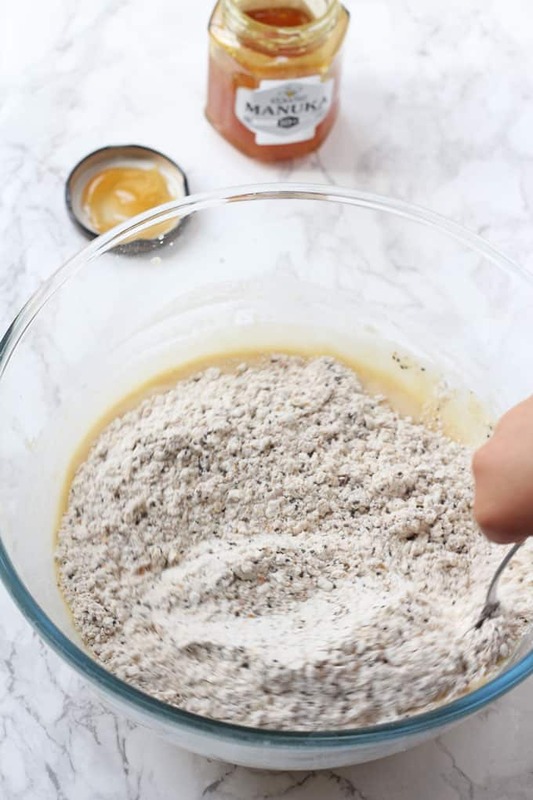 I’ve partnered up with Rowse to bring you a really easy but also super delicious breakfast recipe, packed full of superfoods including Manuka Honey. 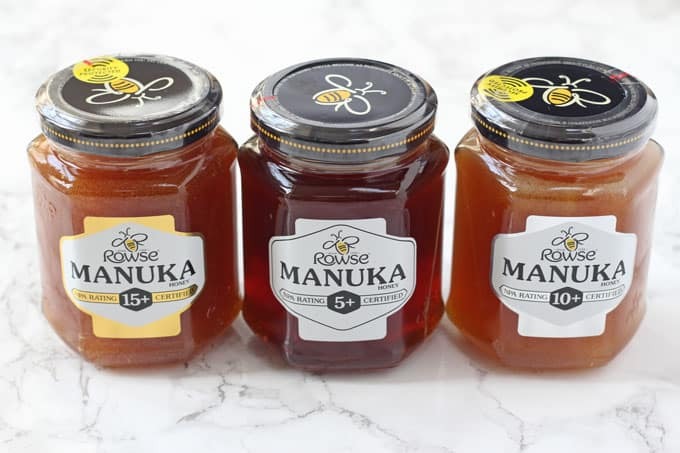 We’ve all heard lots recently about the antibacterial and immune-boosting benefits of honey but Mankua Honey has an additional, different type of antibacterial action known as Non-Peroxide Activity (NPA) which is less affected by heat, light and other natural factors. Current guidelines on testing and labelling do not adequately define what constitutes authentic Manuka Honey. 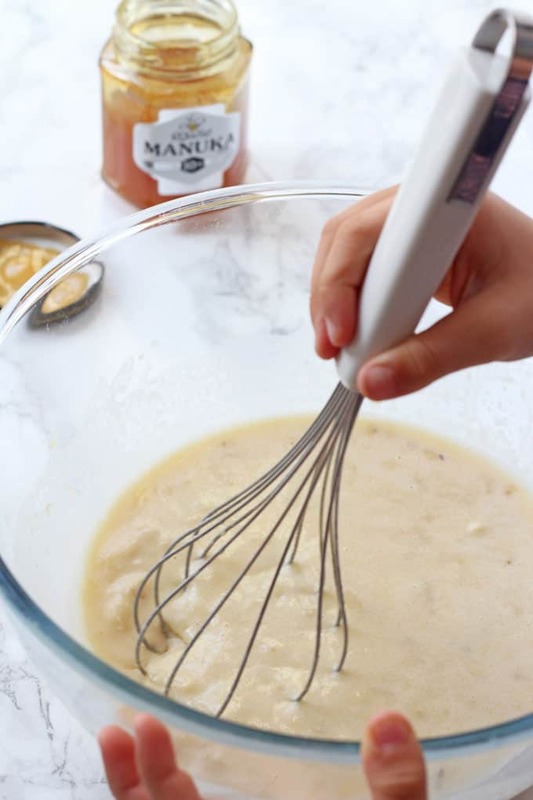 However, Rowse believes that Manuka Honey should have a minimum NPA rating of 5+ to be considered real Manuka Honey and it insists that its own Manuka Honey is actually tested twice to ensure its purity and authenticity. 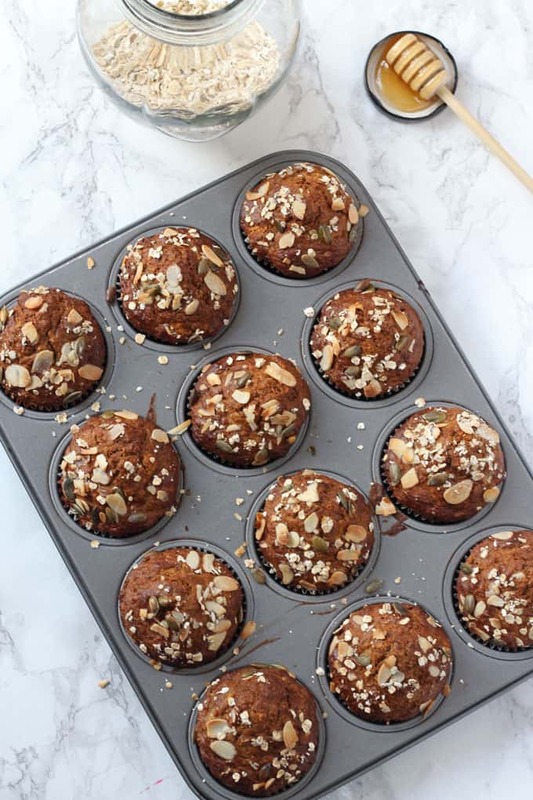 With this in mind I’ve created these delicious Breakfast Muffins containing not only Rowse Manuka Honey but also other superfoods such as chia seeds and flaxseed for added fibre and Omega-3. 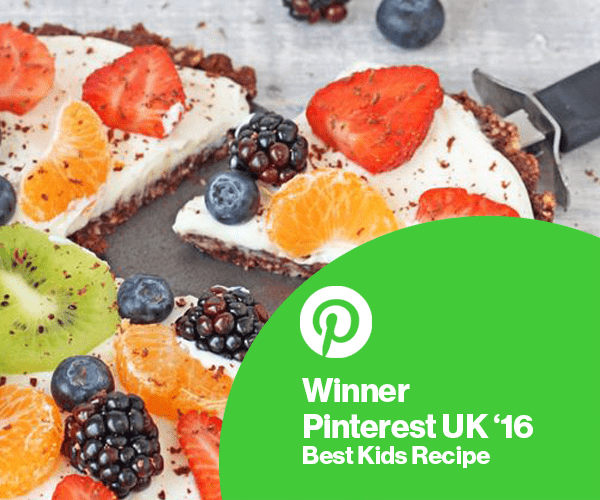 They are really easy to make and are a great way to get the kids involved in cooking too. 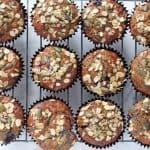 I know that mornings are usually very hectic for most families but you can make a big batch of these muffins at the weekend and then store them in the fridge for a few days or in the freezer too, ready to whip out and eat during the week. 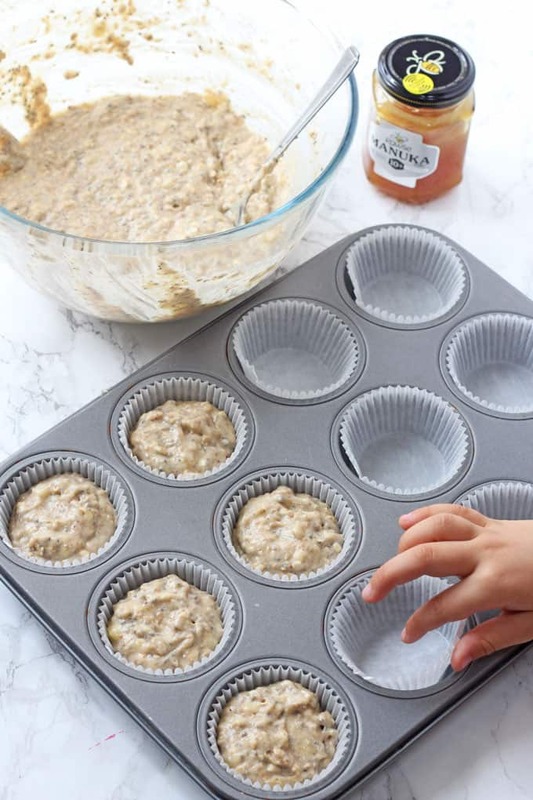 These Breakfast Muffins are refined sugar free, instead using Rowse Manuka Honey and mashed bananas for a natural sweetener. 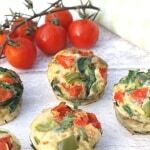 They contain half plain and half wholemeal flour and also rolled oats, to help keep little tummies full all morning! 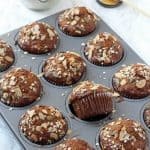 For more information about Rowse Manuka Honey check out their website and if you try these muffins please do let me know what you think. 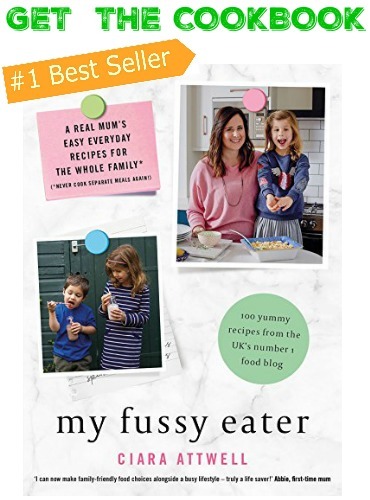 You can also tag me in a picture on Facebook or Instagram using the hashtag #myfussyeater. These muffins do have a tendency to stick to the paper cases. You could use silicone cases to prevent this. DISCLOSURE: I have been compensated for my time spent working on this post with Rowse. As always, all thoughts and opinions are honest and are my own. Delicious! 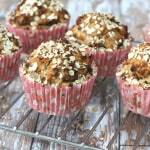 I love manuka honey so chuffed to find a recipe that I can use it in for breakfast. I prefer the mix of plain and wholemeal. 100% wholemeal can be a little dense and dry but its completely up to you! I use 100% home milled, whole grain, hard red wheat and they turn out just fine. 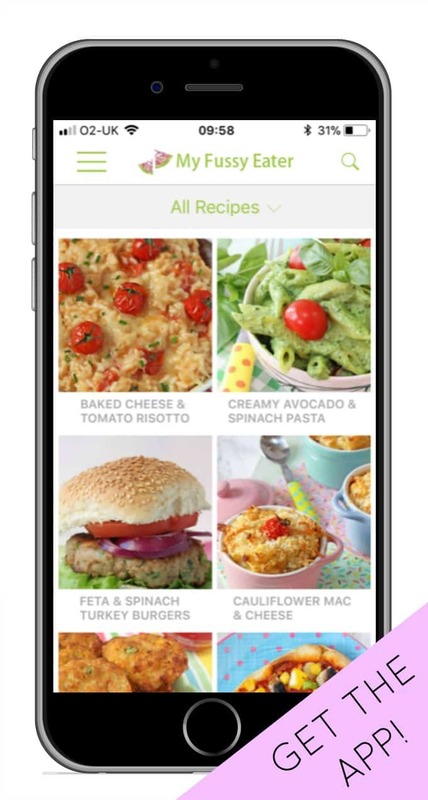 Wondering if anyone’s tried subbing out the banana and used puréed winter squash instead? Just want to update that I subbed puréed winter squash for banana and they turned out great! I also added orange zest and 1 C frozen cranberries. They were delicious and my 2yo ate them up. I do think they came out a bit more dense compared to banana, but still very moist and muffin like. Looks yummy; not sure where to find that honey, but will try the wild lavender honey at Whole Foods!